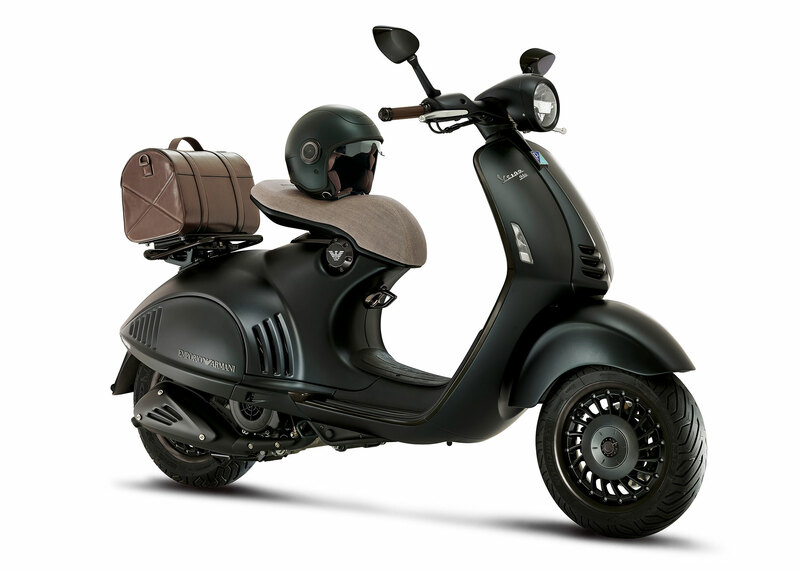 The metallic parts have been treated in order to convey a matt effect in line with the body finishings.The words ‘Emporio Armani’ appear on the side, while the iconic eagle logo of the brand sits above the headlight. The Vespa 946 Emporio Armani will be produced in an exclusive run of individually numbered scooters, and will be on sale in the world’s most important cities starting from June. Great ideas move the world. Keeping faith with those ideas is the only way to progress. 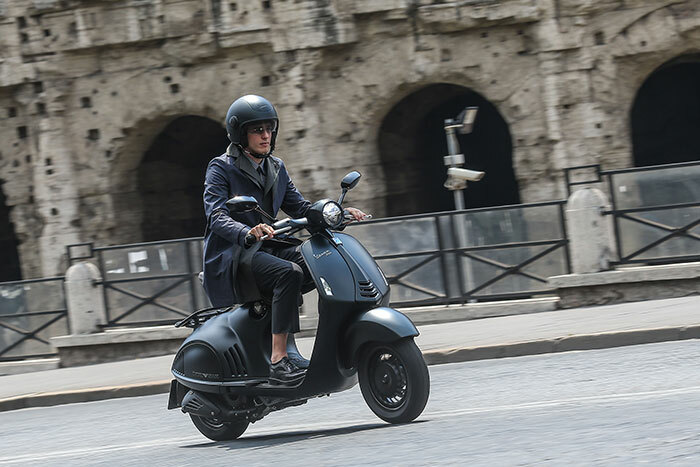 As the Vespa 946 has done: turning the bearing structure of the original model into a lighter, more aerodynamic version with a welded steel and aluminium monocoque frame. From the saddle support to the inserts on the side panels, every centimetre has a detail of excellence to attract the eye. The way to guard against imitations is to look beyond the immediate future. 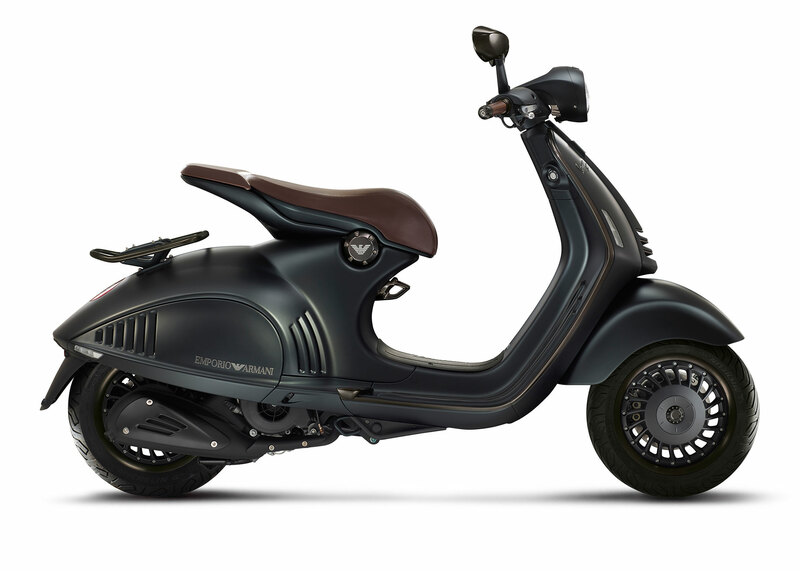 The Vespa 946 has ABS braking and ASR traction control. 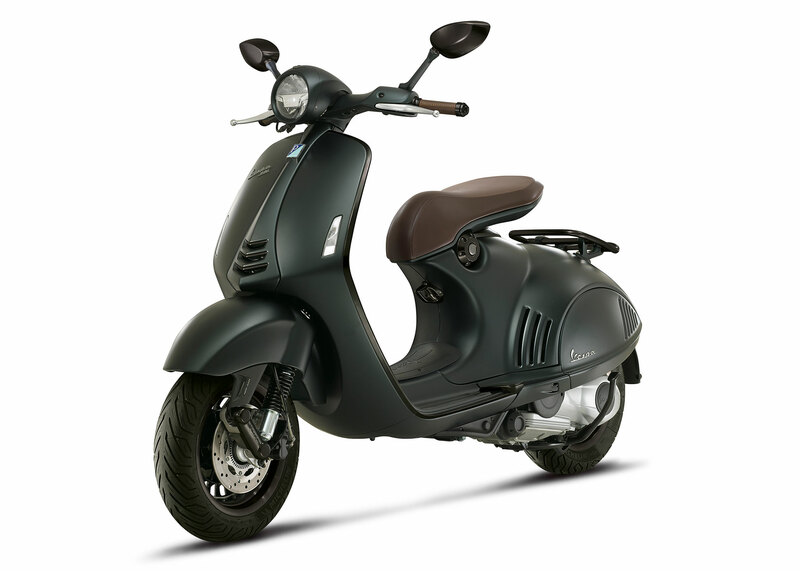 The 4-stroke 125 cc monocylinder engine is a response to requirements that may still be nascent. And it guarantees the best performance in its category. Electronic injection, three-valve distribution, reduced friction and improved fluid dynamics sharply reduce consumption and emissions, establishing a new benchmark over and beyond current regulations. Every evolution is necessarily rooted in its origins. 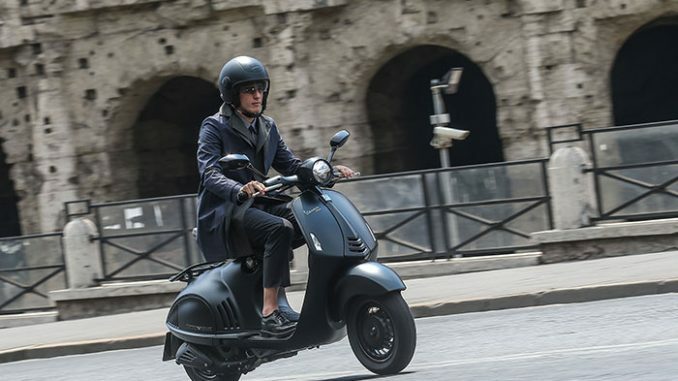 A glance at the 946 recalls the flair and inventive capacity that generated the original idea for the Vespa. 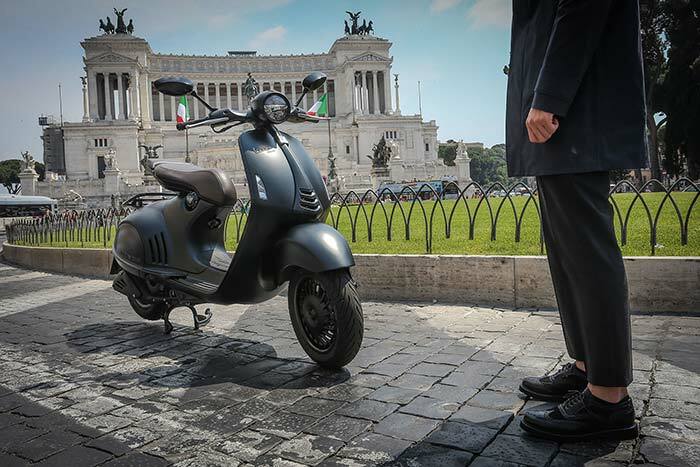 Behind the stunning lines of the first scooter with a monocoque frame lies state-of-the-art technology, designed for user- and eco-friendly progress. 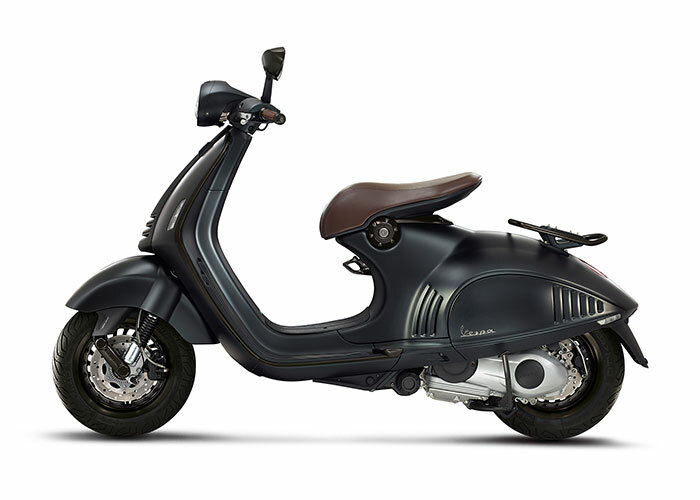 Like the MP6 prototype from which it takes its inspiration, the Vespa 946 seems to have been generated directly from aeronautics and the leading technology of its time. A dynamic model for the start of a new age. It stems from the constant pursuit of harmonious lines and is nourished by attention to the smallest details. Perfection is reflected in people’s gaze: when they admire me, but, above all, when they think about me. Natural and parsimonious, it has energy and a silky, clear-cut flair. There are moments when a singular manifestation of beauty goes beyond every definition. It is instantly recognisable. That’s why I’m here, right now. In Ancient Rome, when the hands of an artisan left a distinctive mark, it was called Manu Facto. But when art engages with mass production, new stylistic features emerge. : everything really is done by hand, just as it is in a fashion atelier. That for six centuries, and who knows how many millions of years before that, everyone has tried to offer humanity a definitive form, is an hypothesis. That I established a form for eternity in the two-wheeler world, a fraction of a second after my appearance, is a certainty.